The Second Generation Wizard PK ring! The new G2 Wizard PK ring has all the same qualities as the G1 rings, but has a new curved surface and a bit more grunt! Solid as oak, and as pretty as silk, this new G2 ring is shaped like a regular wedding band. For those of you wondering 'Why ANOTHER Wizard Ring?'... the answer is simple. YOU, the customer wanted more power (This one is N40+). YOU, the customer wanted this traditional shape. And YOU, the customer have been loyal to the Wizard PK brand, so this is our loyalty back at you! Presented in a gorgeous jewellery box, the ring is designed for many years of use, and can be worn continuously as you would wear any item of jewellery. 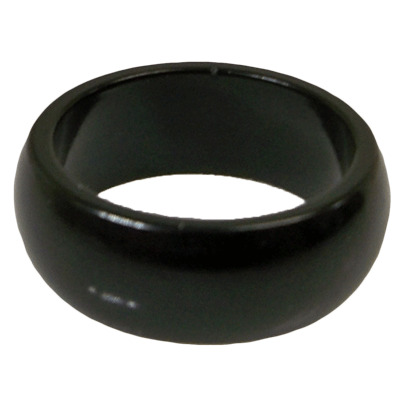 That's the beauty of the Wizard PK Ring—it looks completely normal, but its secret magnetic power is always available. Supplied with an instructional booklet containing two routines, the Wizard PK Ring is ready-to-use straight out of the box. Designed purely for magicians, by magicians, the Wizard PK Ring has already taken its place in the must-have magician's arsenal. And with so many applications in magic and mentalism, it is not surprising that the Wizard PK Ring is a worldwide best-seller. Once worn NEVER taken off!!! The first fully magnetic ring designed by Magicians for Magicians! 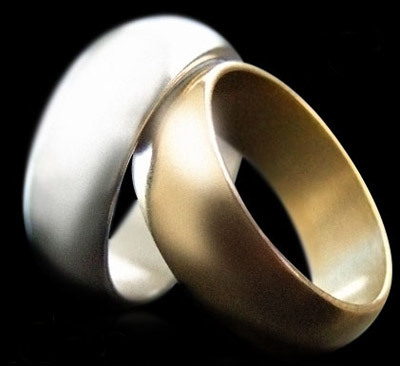 The Wizard PK Ring is a complete, 100% Neodymium Rare Earth Magnet fashioned into a ‘band’ style ring. It will give you a host of unique opportunities to amaze and impress, limited only by the extent of your imagination. To get you started we have set out two basic routines for you to try. The beauty of the ring lies not only in how it looks, a ring on your finger looks completely natural to any spectator, but also in the fact that the ring does all the work for you. There is no need for you to conceal anything – a rare treat. Stop time on a person’s watch using the power of ‘suggestion’. Make items such as cutlery or stationery move, using the power of a person’s mind. Limited only by the extent of your imagination. Comes complete with Wizard PK Ring, ring case and detailed instructions for 2 effects. Coming Soon - DVDs, accessories, and much more... Watch Murphy's Magic Supplies. Please be aware that it is not advisable to use the ring if you have been fitted with a pacemaker. Don't know your ring size? No problem! Click here for a convenient Ring Sizer tool!